The Jacksonville Transportation Authority (JTA) recently announced that former Amazon® executive Bernard Schmidt has been hired to serve as Vice President of Automation. In this new position, Schmidt will manage and oversee all elements of the Ultimate Urban Circulator Program (U2C), including the Bay Street Innovation Corridor project. “Autonomous vehicle technology will transform transportation in cities around the globe. With the hiring of Bernard, the JTA has successfully reached the next milestone of implementing an autonomous vehicle transportation system in Northeast Florida. His unique industry knowledge and results-oriented leadership will help us develop and advance these complex, high-tech transportation solutions,” said JTA CEO Nathaniel P. Ford Sr. 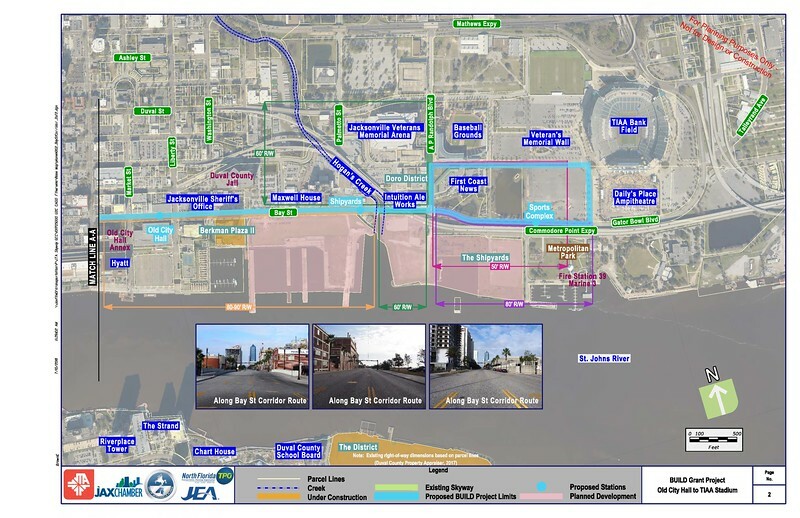 These investments in transportation and autonomous technologies are made possible, in part, by a $25 million grant recently awarded by the U.S. Department of Transportation to the City of Jacksonville and Jacksonville Transportation Authority. 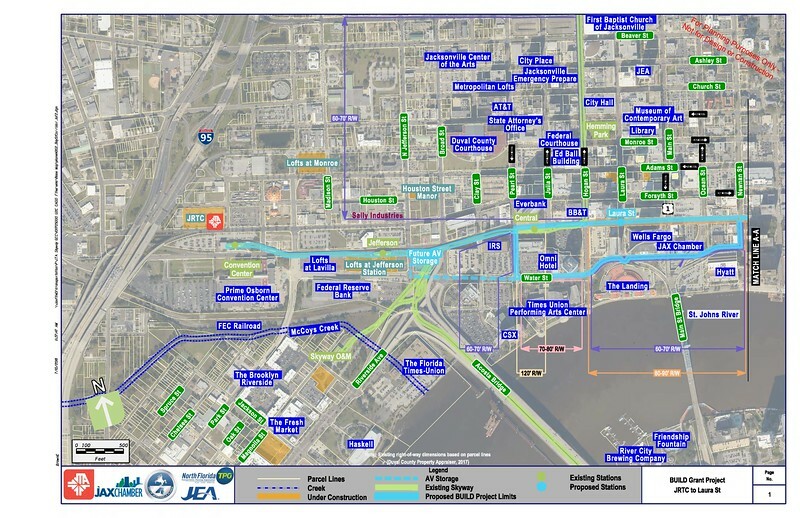 As part of the DOT BUILD 2018 grant, JTA received $12.5 million, enabling JTA to launch the first phase of the U2C program, known as the Bay Street Innovation Corridor, in Downtown Jacksonville. “I am honored and excited to take on this role with the Jacksonville Transportation Authority,” said Schmidt. “I look forward to working on a long-range, innovative program that will increase mobility options and usher in a new wave of opportunity for autonomous transportation.” As Vice President of Automation, Schmidt will manage the Authority’s U2C Program. The U2C program is not like any other domestic capital program that has been undertaken. Fixed guideway automated vehicle technology is currently operating in the United States, but the transition to driverless vehicles and other mixed traffic and pedestrian integrated mobility is unique and new to the United States. Comparable programs include those in the United Kingdom, The Netherlands and Switzerland. Schmidt joins JTA from Amazon where he served as General Manager of Amazon Fulfillment Services. During that time, he managed over 3,000 employees, launched a nearly one-million square foot robotic sortable fulfillment center, and maintained operational responsibility for $3.5+ billion annual sales revenue. Bernard has a wide breadth of experience in strategy, management, oversight and implementation. At United Technologies Corporation, General Dynamics, Inc. and Dominion Nuclear Energy Co., he instituted overall process improvements and performed systems and design engineering for aerospace systems; maintenance, repair and overhaul facilities, and nuclear submarines. He earned his Bachelor of Science degree in Chemical Engineering from the University of Rochester and earned his master’s degree from Rensselaer Polytechnic Institute’s Center for Lean Studies and has a Six Sigma Master Black Belt.